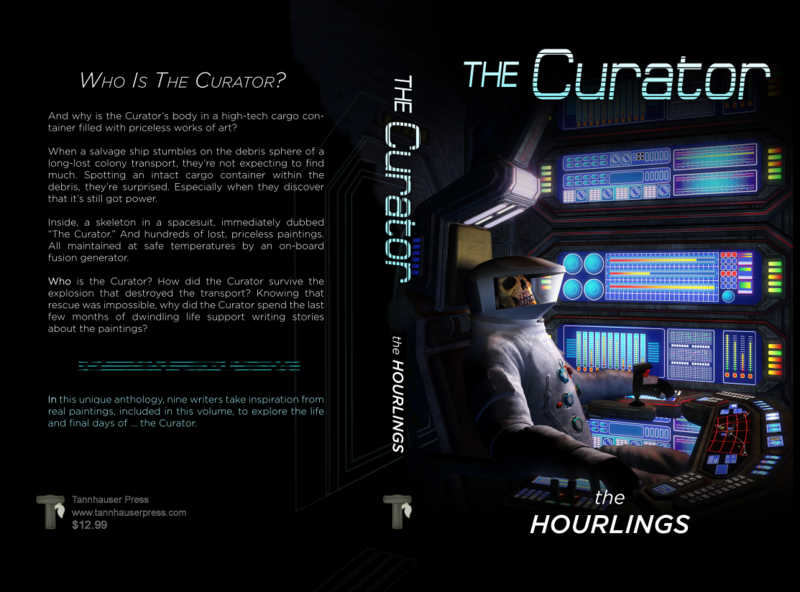 Worlds Enough has done the packaging for The Curator, the new anthology from the Hourlings writing group. Although not responsible for editing, we formatted the print edition, created the ebook, and did the cover design. The cover painting, of course, was licensed from the incomparable Luca Oleastri. The cover design was commissioned from Don Anderson. The anthology will be published by Tannhauser Press around the end of December, 2018. The second and third volumes of the “Worlds Enough” anthology series are now in the planning stages. The series was always envisioned to span the different sub-genres of the speculative fiction field. Since the first volume, Worlds Enough: Fantastic Defenders, covered fantasy, the second is targeted at military steampunk and the third is targeted at the science fiction realm. The theme for the second volume will be “Iron and Steam.” We’re looking for fiction that combines steampunk with military action in innovative ways. Give us stalwart heroes, daring soldiers, strange mechanisms and realistic tactics given strange technologies. As always, there should be at least the glimmer of hope. The theme for the third volume will be “Future Crimes.” We’re looking for works of fiction about crimes in futuristic SF settings, ranging from the near future to the far future. The subject of crimes can obviously lead to some dark stories, which is fine, but there should be at least a little ray of hope somewhere in each story. With these volumes, we’re adding more variety to the story lengths, so stories may range from 5K to 20K words. Since we’re targeting a 100K words for the entire volume, longer stories are welcome, but will need to hold up under harder scrutiny. Note that this is a pre-announcement. The official Call for Stories have not yet been released, though the schedule for the Call for Stories, submission deadlines and anticipated publication dates are already available on our Schedule page. Donna Royston, Martin Wilsey and David Keener were interviewed a week ago for Episode 44 of the Three Hoarsemen podcast. They got to discuss the new anthology, Worlds Enough: Fantastic Defenders, in their various roles as editors or, in Marty’s case, as the publisher (Tannhauser Press) of the volume. That podcast episode is now available online. Of the interview, David Keener said, “We had a lot of fun being interviewed. We got to talk about the anthology, our other works, Tannhauser Press and a few other subjects.” The podcast is an hour and forty-two minutes long, but you can skip to the interview at the 1:07:48 mark if you’d like. Since the blog hosts also discussed the movie, Guardians of the Galaxy, earlier in the podcast, the title they chose for the episode was: “Fantastic Defenders of the Guardians of the Galaxy.” Check it out now! Fantastic Defenders launched today. It’s Volume 1 of the “Worlds Enough” anthology series, edited by David Keener and Donna Royston. Now available on Amazon in print and ebook. The volume features five novelettes about the kind of heroic defenders that refuse to give up. You know, the ones that keep fighting no matter what the odds are. Check it out on Amazon! Martin Wilsey, best-selling author of the Solstice 31 trilogy and publisher of Tannhauser Press, released an interview with David Keener on his blog. Martin does a regular “Fast Friday Interview” feature where he runs interviews with fellow indie writers. In the interview, David talk about things like how he became a writer, as well as his mutant writing method that STILL has all of the other folks in his writing group shaking their heads in bemusement. He also talks about some of his upcoming projects, including Fantastic Defenders, volume 1 of the Worlds Enough anthology series. So, that’s right, go over to Marty’s site right now and check out the interview. 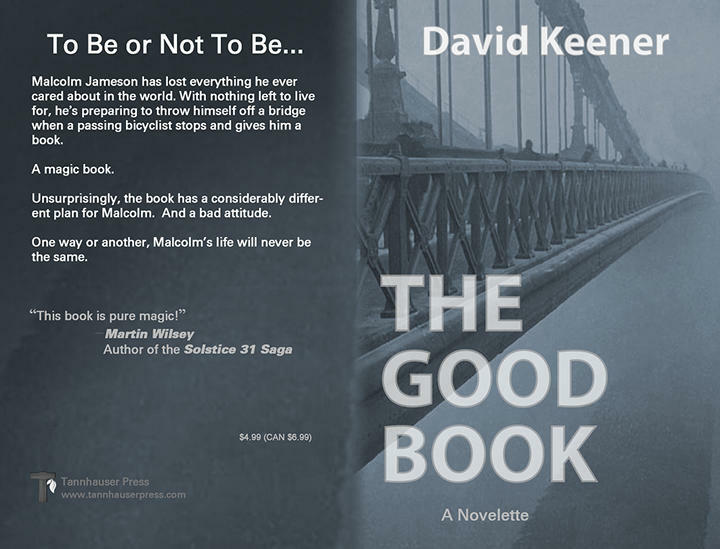 This is the full wraparound cover for The Good Book, a rather unusual fantasy story from David Keener. Worlds Enough was commissioned to create a thematic cover for the novelette, which will be indie published soon. We also did the internal layout for the print edition, as well as the ebook. Note: The book was published on Amazon in print and ebook formats on May 12, 2017. A mage press-ganged into the Royal Navy finds himself volunteered for a dangerous, secret mission on foreign soil. David Tatum Makes the Cut! 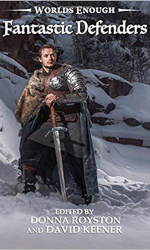 David Tatum, author of fantasy books like In Treachery Forged and The Kitsune Stratagem, has been selected for the fifth and final slot in the anthology, Worlds Enough: Fantastic Defenders. His story is “A Gun for Shalla,” about a hapless wizard named Kusk who gets press-ganged into the imperial navy. After serving on board a ship-of-the-line, he’s singled out thanks to his unique combination of magical talents. He’s forcibly volunteered to assist in a dangerous mission to rescue the imprisoned relative of a high-level diplomat. Naturally, things don’t go as planned. Look out for it on May 5, 2017, when Worlds Enough: Fantastic Defenders is published. Publishing a book is a detail-oriented process and, to a large extent, most activities need to be done in a fairly specific order. Mess with the process…and you’ll pay for it later. At least that’s the experience of David Keener, commissioned to do the ebook for the anthology, Reliquary, being published by Tannhauser Press. 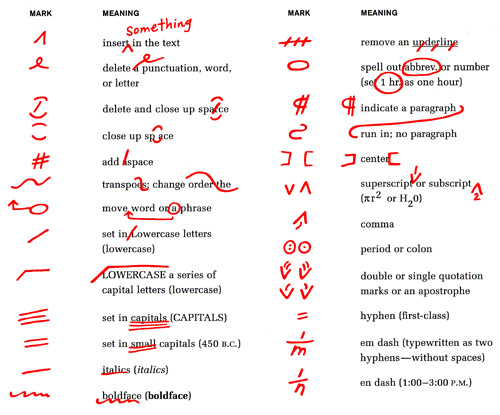 With a second round of copyedits, producers have the choice of copyediting the original content and then re-branching. Alternatively, if the separate branches have diverged too much, it may be easier to apply the copyedits to both branches. “For us, it was the latter,” David explained. After all the delays (for this and other behind-the-scenes drama), the producers decided to release the print edition as soon as it was available. Accordingly, John Dwight finished the final design work on the print edition and published it on Amazon. Logistically, it was anticipated that the ebook edition would follow in about two weeks. Be on the lookout. The Kindle edition of Reliquary will be available next week. Note: (2017/05/25) Yeah, OK. That next week thing didn’t happen. Reliquary got preempted by some other projects. Still, it’s next up in the queue, so we’re looking at a June release for the ebook. A new anthology called Reliquary was just published on January 6th by our publishing partner, Tannhauser Press. 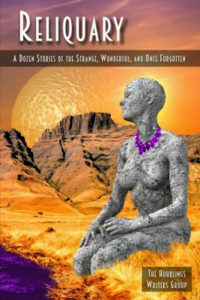 The anthology features twelve stories by new writers on the theme of relics. We’re proud to announce that four of the writers for our upcoming anthology, “Worlds Enough: Fantastic Defenders,” are represented in that volume. Those writers are David Keener, Jeff Patterson, Donna Royston and Martin Wilsey. 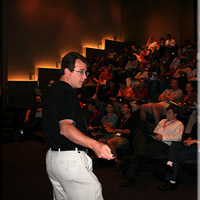 David Keener, an IT specialist in his day job, has also been pressed into service to assist Tannhauser Press with ebook production. Due to some logistical issues, the Kindle edition of the anthology will be available on Amazon in about two weeks. dkeener on Fantastic Defenders Launches!